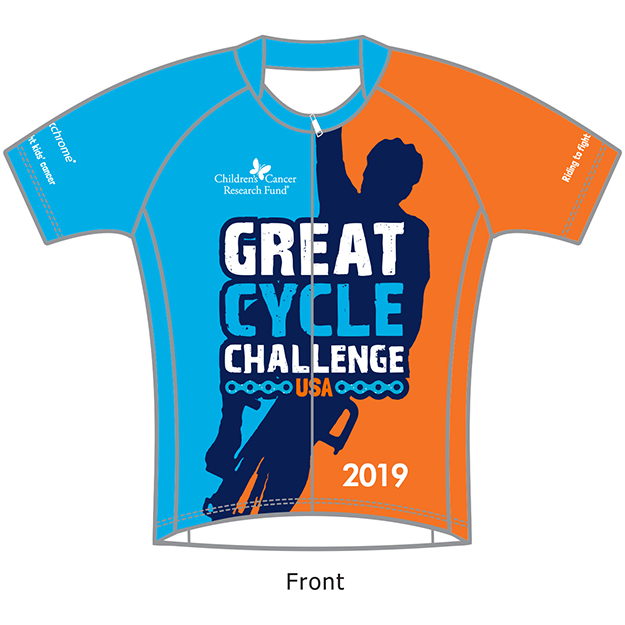 Get your very own 2019 Great Cycle Challenge USA jersey to wear throughout your challenge! We'll notify you as soon as you qualify (via email), ask for your size and postal address and then send your jersey to you within five working days, commencing April 2019. Yes, and you'd be an absolute HERO for doing it. Your jersey will be shipped within five business days of confirmation of shipping address. Unfortunately, no. 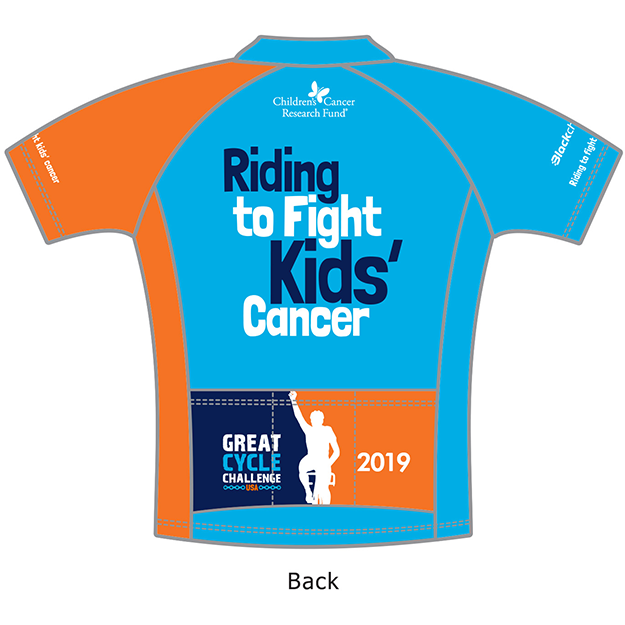 Our jerseys are just for those riders who raise $500 or more to fight kids' cancer!